VISITING HOURS: Access to the northern and most often visited portions of the reserve will be allowed during posted visiting hours of 5:30 a.m. to 7:30 p.m. daily. 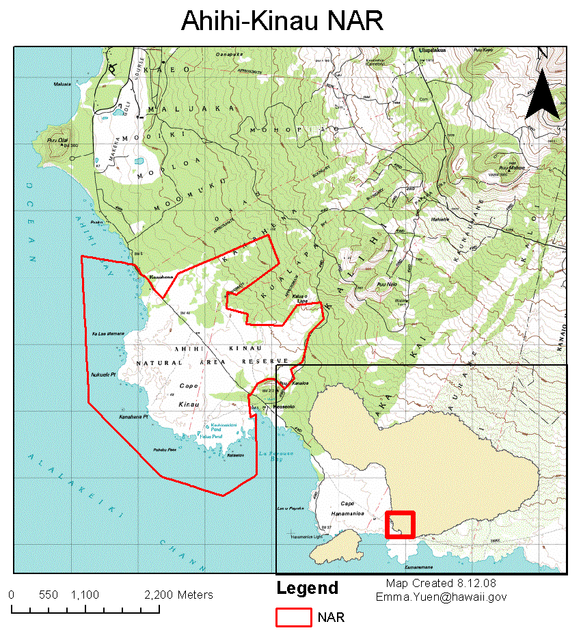 Click the image below to download our two page Activity Map, or download the pages separately (Page 1 | Page 2). 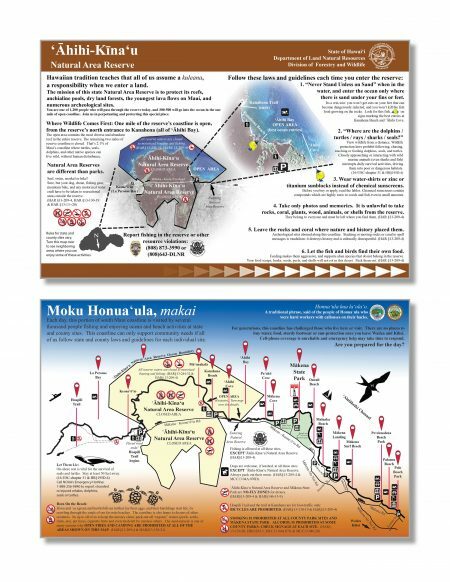 The installation of 27 new signs and interpretive panels was recently completed. Click here or scroll to the map below to view signs, some of which may be useful for planning your trip. Help us to take care of ‘Ahihi-Kina‘u and ensure this unique area is preserved for everyone to enjoy. Click here or use the app below to report violations at the reserve. It will allow you to find your location on the map, upload photos and add a short description. The ‘Ahihi-Kina‘u reserve is located on the southwest corner of the island of Maui and was the first designated Natural Area Reserve in 1973. 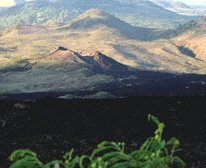 The 1,238 acres contain marine ecosystems (807 submereged acres), rare and fragile anchialine ponds, and lava fields from the last eruption of Haleakala 200-500 years ago. Native plant communities that include naio, wiliwili and native cotton exist in kipuka, or pockets, but are severly imperiled by the encroachment of weeds and feral ungulates such as goats. A coral reef survey done by the Division of Aquatic Resources in 2007 indicated that the reef community within the NAR boundary waters was the only reef from their test sites that was not declining overall. Preserving the integrity of the anchialine pools is a major management focus. All access to them is closed. Main threats to these wetlands include non-native invasives such as fish or prawns, algal mat formations, and human disturbance.